There are homes that have an architecture that satisfies the clients. But there are also instances when one area doesn’t impress them or doesn’t fit to their needs as much as the other places of the house. Just like the house that we will feature today. Just to be clear, it isn’t the entire home that we are going to show to you but just the kitchen since it was the area they renovated. 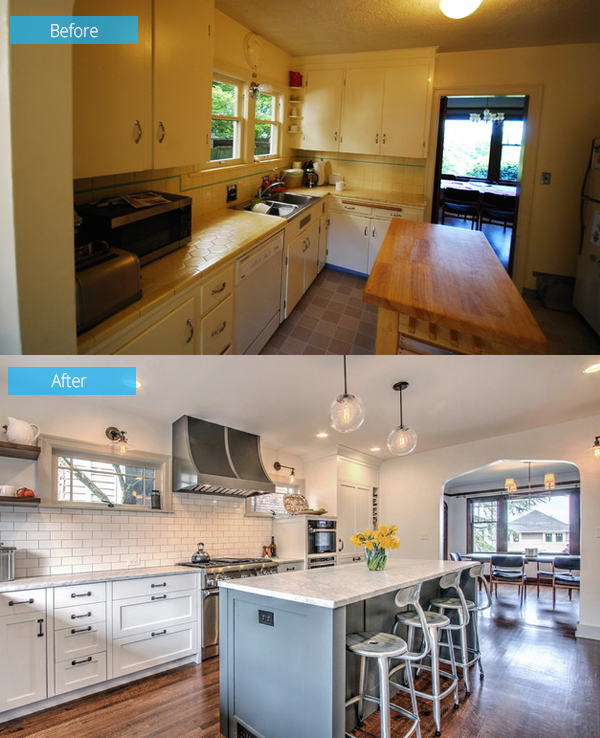 A 1920’s home in Seattle has a Tudor-style architecture but the kitchen that looked like remodeled in the 1950s needed an update. More storage and light was given to the space in order to meet the needs of the owner. 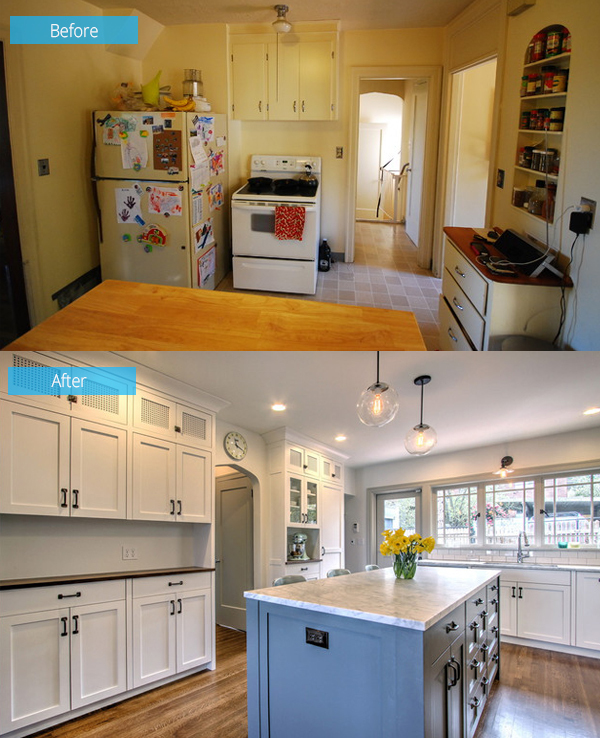 And yes, the entire look of the kitchen was changed too. You will see how much beauty was added to this part of the home by removing some walls. Before, the kitchen looked dark because of the entry hall and it has a small breakfast room which is used as a play area. Now, the walls were removed adding 104 square feet to the kitchen and adding more light into it through a new bank window. 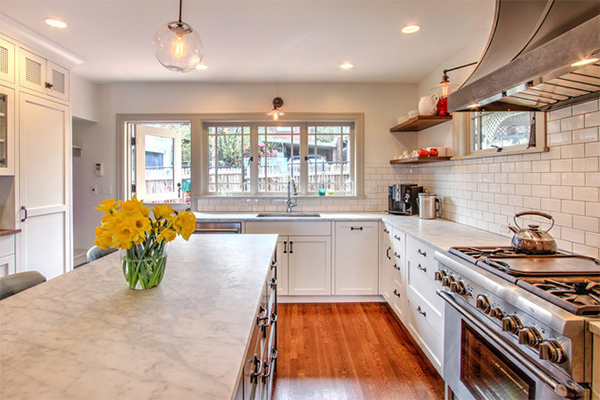 It used to have a tile countertop that is difficult to work on and clean and the upper cabinets are too shallow. Now, a new cabinetry was added including a steam convection oven, a microwave drawer and a refrigerator with paneling to match the cabinets. The once dark kitchen is now full of natural light and is also illuminated by can lights, wall sconces and pendant lights for better work experience in the kitchen. It wasn’t really convenient to use the kitchen because one has to cross the room to use the sink while navigating the island. That isn’t what a kitchen layout should be. Now, the layout is better and it has a storage wall for food and small appliances. The previous island is a freestanding counter-height table and it was changed into a new built-in island that contains enough storage and would be great for eating too. The owners sure got their dream kitchen now. 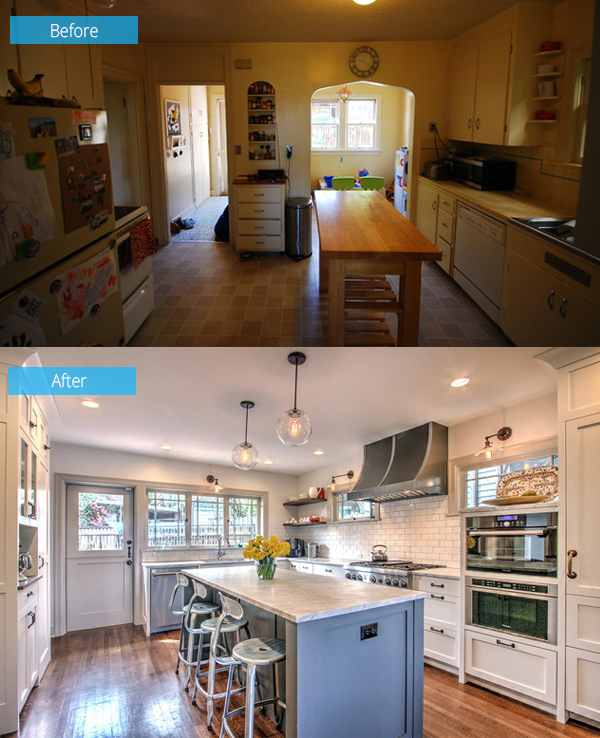 We have seen how much the kitchen has changed through the above images. Architect Anne Scott said that the owners “wanted to have a space that felt timeless and functioned in a modern way” and they sure got that. 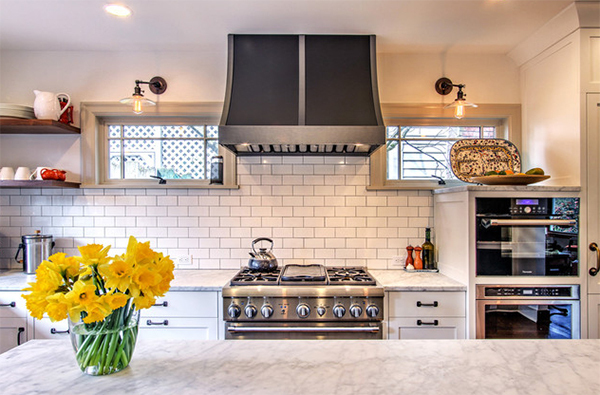 What are the features of the kitchen that you like most?